Chai usually refers to the well-known spiced tea of India that is thought to maintain health and improve peace of mind. A potent blend of tea, herbs and spices, chai improves digestion, enhances the immune system, fights inflammation and has antioxidant properties. It’s also thought to have antibacterial and anti-cancer properties. So, let’s have a closer look at what makes up chai tea and the many benefits it can offer us. Research suggests that drinking tea is linked to better health, and the reason is because of chemicals called polyphenols, particularly catechins and epicatechins (powerful antioxidants). While there’s no secret to the health benefits of antioxidants, it turns out that the antioxidants in tea are far more potent. Some researchers suggest that drinking black tea may actually protect LDL (“good”) cholesterol, which lowers the risk of developing cardiovascular disease, says Harvard Health. In fact, tea drinkers are even less likely to develop diabetes over time, compared with people who drink less tea. That makes sense, says Harvard Health, since research shows that polyphenols help regulate blood sugar (glucose). Polyphenols are higher in green tea, so for an even greater health boost choose green tea in your chai recipe. But nevertheless, black tea has them too. Glucose rises in the blood and shoots insulin from the pancreas. It signals the cells to start metabolizing the glucose, making cells more sensitive to insulin’s effects. The bottom line is that tea is thought to lower the risk of diabetes, which contributes to heart disease and stroke. In addition, substances in tea may also help to lower blood pressure as well as cholesterol. Ginger, one of the healthiest spices in the world, is used to flavor chai tea. Ginger is well known for its anti-oxidative and anti-inflammatory properties (ideal for osteoarthritis sufferers) and its ability to alleviate symptoms of gastrointestinal distress by relaxing and soothing the intestinal tract. Ginger is also closely related to turmeric, galangal and cardamom (another spice used in chai tea). Throughout history ginger has been used in various forms of traditional and alternative medicine for helping digestion and reducing nausea. It also helps keep the flu and the common cold at bay. 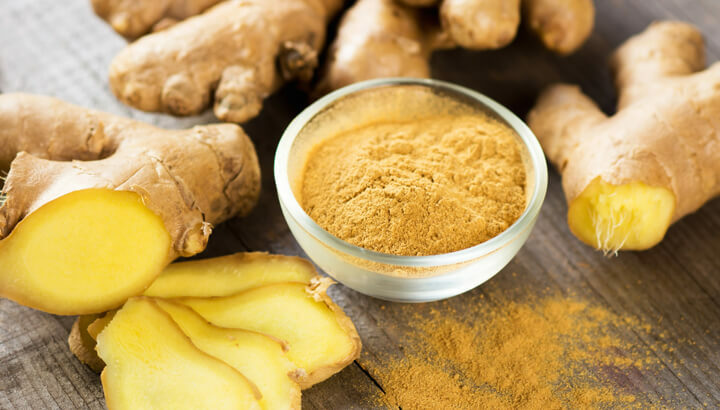 Ginger’s spicy scent and flavor come from gingerol, a main bioactive compound responsible for most of its medicinal properties, including powerful anti-inflammatory and antioxidant benefits. A review published in the U.S. National Library of Medicine also suggests that gingerol possesses anticancer activities because of its effect on a variety of biological pathways involved in apoptosis (the ability to curb the life or death of a cell). Cardamom, often referred to as the queen of spices, has an exceptional aroma and taste and is widely used to flavor chai tea. However, it was also used in ancient medical traditions to alleviate sore throats, teeth and gum infections, congestion, tuberculosis, stomach, kidney and lung problems. In addition, it was used as an antidote for spider and snake bites, suggests Food Facts. Throughout history, and more recently in modern lab studies, it’s been noted that cardamom successfully treats urinary tract infections and even gonorrhea. A report conducted by India’s Public Health suggests that cardamom is not only an effective breath freshener but also acts to lesson nicotine withdrawal in those who are trying to quit smoking. For centuries cardamom has been used in Ayurveda and traditional Chinese medicine for dealing with dental problems. While traditional antibiotics can produce side effects that include killing friendly probiotic bacteria in the intestines, cardamom, on the other hand, kills only infectious microbes, not the probiotic bacteria. In fact, according to Organic Facts, research conducted by the Division of Entomology and Parasitology at the University of California verifies the presence of antimicrobial properties in cardamom. Cinnamon is one of the most important spices used daily throughout the world, and not only imparts a wonderful aroma and flavor but also has numerous health benefits. 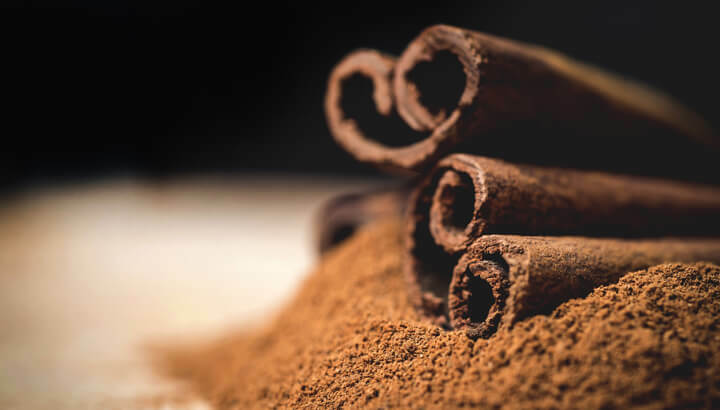 There are two types of cinnamon available, Ceylon cinnamon, also known as “true” cinnamon, and Cassia cinnamon, the more common variety found readily in North American supermarkets. Similar to the other spices found in chai tea, cinnamon has great anti-inflammatory and digestive properties. In addition, cinnamon has antibacterial and antioxidant properties, and may also help balance blood sugar. In fact, according to a study conducted by the Department of Human Nutrition at NWFP Agricultural University in Peshawar, Pakistan, one gram of cinnamon per day has beneficial effects on blood markers in people with type 2 diabetes. The distinct smell and flavor of cinnamon come from vital oils, which are very high in a compound called cinnamaldehyde. Medicinal research conducted by the School of Medical Sciences at the University of Malaysia, found cinnamon to contain antioxidant, anti-inflammatory, antidiabetic, antimicrobial, anticancer, lipid-lowering and cardiovascular disease-lowering compounds. Fennel is an interesting addition to chai tea because of its licorice-like flavor. Like most spices, fennel contains its own unique combination of phytonutrients that give it strong antioxidant properties. The most fascinating phytonutrient compound in fennel may be anethole — the active compound in its volatile oil — suggests WhFoods. In animal studies, anethole has frequently been shown to reduce inflammation and help prevent the occurrence of cancer. Fennel seeds also contain numerous flavonoids like kaempferol and quercetin. These compounds function as powerful antioxidants by removing harmful free radicals from the body, offering protection from certain cancers, infection, aging and degenerative neurological diseases. In addition, minerals in fennel such as iron, phosphorous, calcium, magnesium, manganese, zinc and vitamin K also contribute to building and maintaining bone structure and strength. 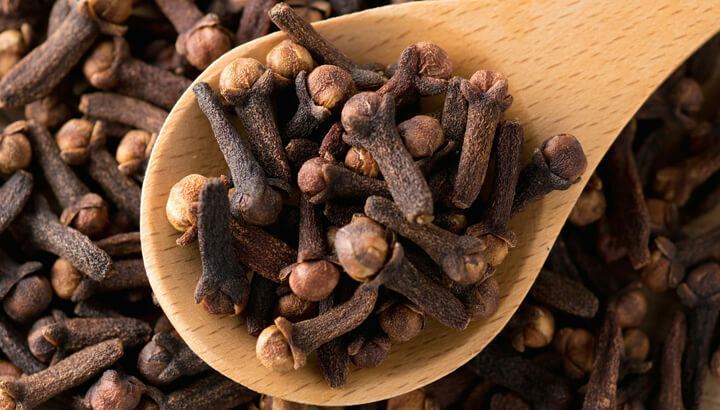 Cloves stand out in chai tea thanks to their warm, sweet, aromatic flavor and scent. But once again we have a spice that not only imparts flavor but also anti-inflammatory benefits. Clove contains significant amounts of an active component called eugenol, which functions as an anti-inflammatory substance. In animal studies, the addition of clove extract to diets already high in anti-inflammatory components — like omega-3 fatty acids— adds further benefits by reducing inflammatory symptoms another 15 to 30 percent. In addition, cloves are an excellent source of manganese, vitamin K and dietary fiber. They are also a good source of iron, magnesium and calcium. This humble spice actually has surprising health benefits that you can’t ignore. Black pepper is a carminative, which means it discourages intestinal gas from forming. But that’s not all: the outer layer of the peppercorn aids in the breakdown of fat cells. In fact, a recent study, published in the American Chemical Society’s Journal of Agricultural and Food Chemistry suggests that the main substance in black pepper responsible for its pungency — known as piperine — might actually stop the formation of new fat cells. While scientists still have little understanding as to how piperine works on a molecular level, and how much is actually needed for fat loss, they do know that piperine somehow interferes with the activity of genes that are responsible for fat formation. Boiled in spices, sugar and milk, chai is India’s most popular drink. In fact, the country consumes over 800,000 tons of it every year. And no wonder, this awesome brew adds a healthy punch of aromatic spices to each cupful. Instead of refined sugar, consider healthier sweeteners such as honey, maple syrup or stevia. And if you’re not into dairy, simply brew it with water, almond or coconut milk. Hey Buddy!, I found this information for you: "These 7 Ingredients Are Why You Should Drink Chai Tea". 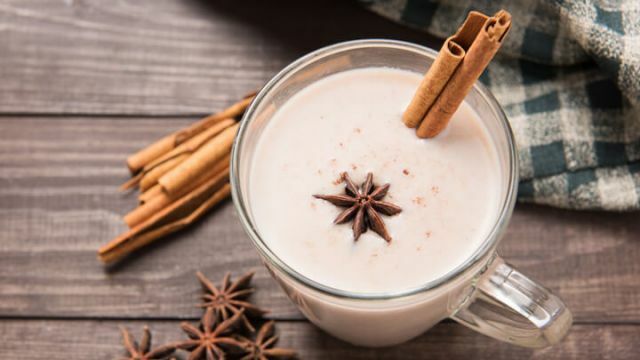 Here is the website link: https://www.thealternativedaily.com/7-ingredients-drink-chai-tea/. Thank you.